BBS and blogs are big in Beijing. The view from the US looking into China is of a repressive censor on the lookout for troublemaker bloggers. The reality seems to be that China has a tremendous freedom of speech that has never existed there before. True, you cannot access Vox there periodically, nor Wikipedia but apparently there are wll know hacks that can give you access to pretty much everything. I have to remember one adage that Jeremy Goldkorn shared with me about visitors to China. Go there for 2 weeks and you you feel entitled to write a book on the subject, stay there two years and you'll realize how little you have to say. I am going to limit myself to a few short posts about what I learned from smart folks like Jeremy. He's got a blog at Danwei.org and a great video blog at Danwei.tv. 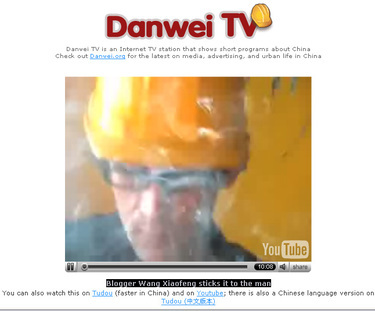 Go to the video blog and watch his interview - "Blogger Wang Xiaofeng sticks it to the man." Not only is Wang Xiaofeng hysterical when foulmouthed as Lenny Bruce on a tear, he actually offers an insight into attitudes about rebel bloggers resenting Sina's late entrance in the blogging market. I think about News Corps desire to get MySpace deep into China and the resistance they are likely to experience. I spoke to Jeremy while in Beijing. 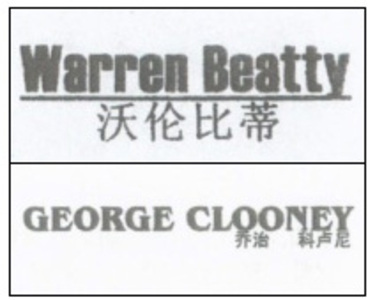 he's actually been there for quite a few years and started by teaching English in Eastern China. Now he does three things really well (not just three things but these are the ones I know about). And Goldmines Film & Video Production where he offers some of his talent for hire. jeremy has some great insight into social media as it unfolds in China and not from the all too common ex-pat perspective. He has great respect and interest in what is happening in Beijing. The energy in the city was palpable. there is a huge amount of investment something that Tangos covers routinely in his China Web 2.0 blog. People are optimistic, business is booming, and social media is thriving. I forgot to ask Jeremy about the hard hat. You may have only been there two weeks, but you are right on with your observations on both Jeremy and on China.